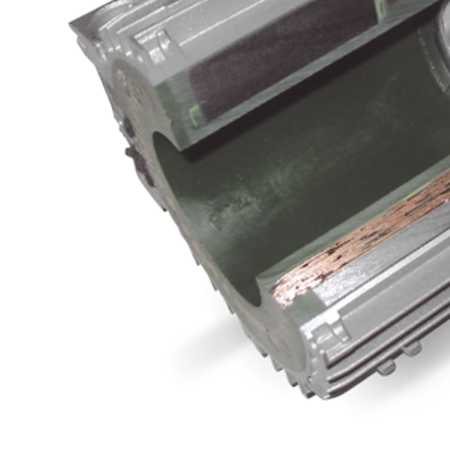 A special process, using an epoxy bi-compound, makes the internal electrical parts completely waterproof. 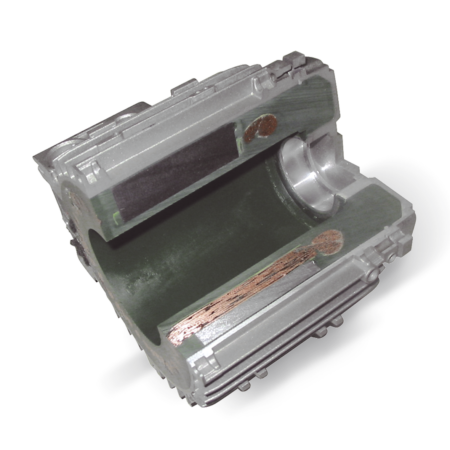 The motor is resistant to the most hostile environments in terms of presence of water and humidity. 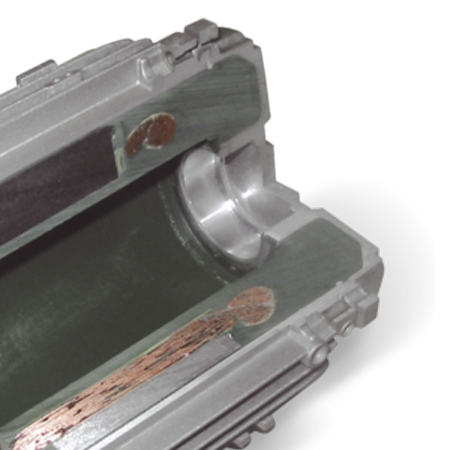 This solution improves also the heating transmission and electrical insulation of the winding. Epoxy casting bi-compound specifications: Max admissible temperature 155°C, Dielectric strength 21 KV/mm All application with high degree of humidity. Field of application: Car washing, food industry, off-shore application, fishing industry. Car Wash, Food industry, Offshore.